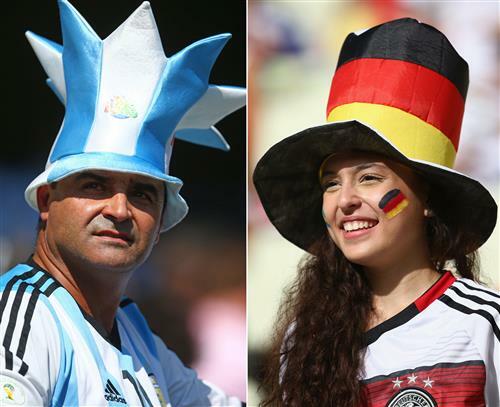 Germany vs. Argentina - whose side are you on today? union, that's the best news I've heard all day. Why is all the conversion about Messi's performance in the WC when Muller is have arguably a better performance. Muller also outplayed Messi in the last World Cup. 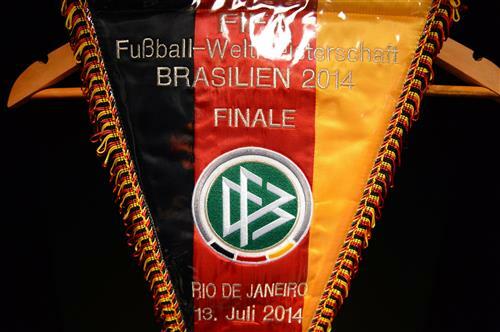 Germany can land the World Cup for a fourth time - are they favourites for the trophy? Hello Tom and Boot Roomers! Finally the FINAL! Will this be Messi or Klose? Welcome back, RMF! I think it'll be Thomas Muller's final, actually. Still wondering if sabella will still go with a 5-3-2 formation ? My prediction. 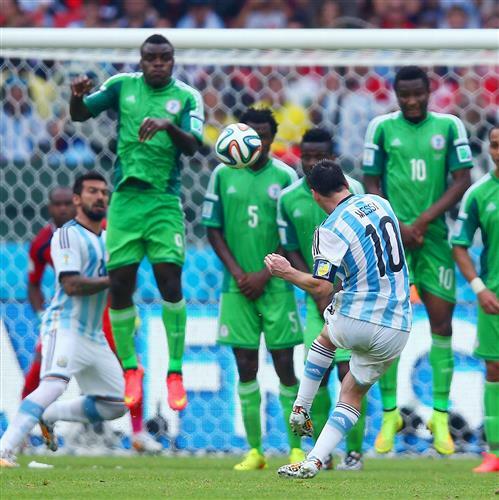 No goals in the regulation time, Argentina use all their substitutes. Schurrle breaks through in the 120th minute, only for Romero to foul him and receive a red card. The resulting penalty is saved by none other than Leo Messi who goes on to score in the shootout and save all the penalties! Udyat, what a finale you've predicted there! ESPNFC.comAlthough it may appear that Lionel Messi is under-performing at the World Cup, he is actually making the difference at just the right time for Argentina, writes Gabriele Marcotti. Muller don't play. he only score goals...I know this is important but is the only thing he do. pale, he's actually got three assists, so I'd argue he does more than just score goals. Tom - is there any chance Argentina take the 2010 Dutch approach to this game and make it a mud wrestling match? Please before the match starts, what's your opinion on the impending transfer of Lazar Markovic to Liverpool fc? And could LFC be planning to play mostly 4:3:3 next season? IJDefoe, I think he'll be a great buy for Liverpool. Great speed, and will fit in at Anfield - that's if he bucks up his ideas in training. James Rodriguez price has been inflated with the WC, I wonder if he would have attracted any interest if not for the tournament performance. Right, the tournament is almost over, so time for a few Gillette Boot Room World Cup finals polls! walken is the first to be cast actor for the musical....because you know you get walken first and everything else doesnt matter..that being said they went for kristen bell but shes not available....other than that no other major casting...i just read this so dont think of me of some peter pan know it all! If James Ro is signed and shines at Real Madrid, Real will sell Ronaldo next year. Cheers Mac - we all know it's you guys that make the Gillette Boot Room what it is. A big hand for you all. Shakira with her hips, Santana with his guitar!! A spectacular closing ceremony at Maracana. Now expecting a great game. Argentina has Messi , Germany has a team !! !